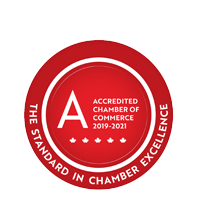 J. R. Robertson Ltd. | Heating, Ventilation & Air Conditioning | Mechanical Services | Metal Fabricators | Material Handling | Sheet Metal Contractors - Business Directory - St. Thomas & District Chamber of Commerce - ON, ON ? J.R. Robertson Ltd. has been operating since 1989 and is one of the biggest and best-equipped metal fabrication/sheet metal shops in the area. They can handle any type of metal fabrication and installation, specializing in stainless steel fabrication; industrial/commercial ventilation and material handling systems. Their innovative machines and equipment have found their way all over Canada, The United States and even Mexico. They have the manpower, tools and equipment to complete any type of metal work in any situation.